Elton John live concert in Minsk, Belarus, June 2010. A federal judge in Chicago, Illinois held that the 1985 hit song by Elton John titled “Nikita” did not infringe the copyright in an earlier song that, like “Nikita,” lamented the obstacles to love between a Western man and a woman in the Eastern Bloc during the Cold War. Hobbs v. John, No. 12 C 3117 (N.D. Ill. Oct. 29, 2012). PLAINTIFF’S SONG “NATASHA.” The plaintiff, Guy Hobbs, is a photojournalist. In 1982, Hobbs had a love affair with a Ukranian woman when he served as a photographer on board a Russian cruise ship. Inspired by that relationship, Hobbs wrote a song he called “Natasha,” about “an impossible love affair between a Western man and a Ukrainian woman during the Cold War.” In 1983, Hobbs registered his copyright of “Natasha.” He forwarded the lyrics to several music publishers, including Big Pig Music, Ltd., a joint venture between Elton John and songwriter Bernie Taupin. None of the publishers took up Hobbs’s song. ELTON JOHN’S “NIKITA.” In 1985, Big Pig Music registered the copyright in “Nikita,” a song identified as co-written by John and Taupin. “Nikita” is the story of a man’s infatuation with a beautiful East German border guard whom he cannot meet because he may not enter the country. 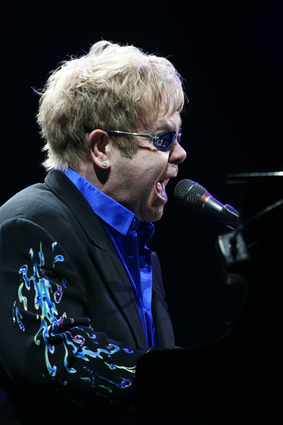 “Nikita” was released on Elton John’s Ice on Fire album and rose to #7 on the U.S. music charts and #3 in the United Kingdom. PLAINTIFF’S CLAIMS. Hobbs did not read the lyrics of “Nikita” until 2001. When he did, he purportedly “was shocked by the similarities between the lyrics of ‘Nikita’ and ‘Natasha. '” For several years, Hobbes attempted in vain to persuade John, Taupin, and Big Pig Music to compensate him. In 2012, Hobbs sued all three of them for copyright infringement. DEFENDANTS’ MOTION. The defendants moved to dismiss Hobbs’s action. Although the statute of limitations for copyright infringement is three years and commences running when the plaintiff learns or should have learned of the infringement, the defendants did not seek dismissal on the ground that Hobbs’s claims were time-barred. Instead, they contended that “Nikita” and “Natasha” were not substantially similar, and thus “Nikita” did not infringe the copyright in “Natasha.” In an opinion dated October 29, 2012, the court agreed with the defendants and dismissed Hobbs’s complaint. PROVING COPYRIGHT INFRINGEMENT. As explained by the court, to make out a claim of copyright infringement, a plaintiff must establish (1) that he owns a valid copyright and (2) “unauthorized copying of constituent elements of the work that are original.” Peters v. West, 692 F. 3d 629, 632 (7th Cir. 2012). When there is no direct evidence of copying, the plaintiff may prove this element circumstantially by showing that (1) the defendant had access to the copyrighted work and (2) the works are “substantially similar,” so as to permit an inference of copying. Two works are substantially similar if “the accused work is so similar to the plaintiff’s work that an ordinary, reasonable person would conclude that the defendant unlawfully appropriated the plaintiff’s protectible expression by taking material of substance and value.” Incredible Technologies, Inc. v. Virtual Technologies, Inc., 400 F. 3d 1007 (2005). LIMITATIONS ON COPYRIGHT. Common words and short phrases that do not express an appreciable amount of original text are not protected by the Copyright Act. 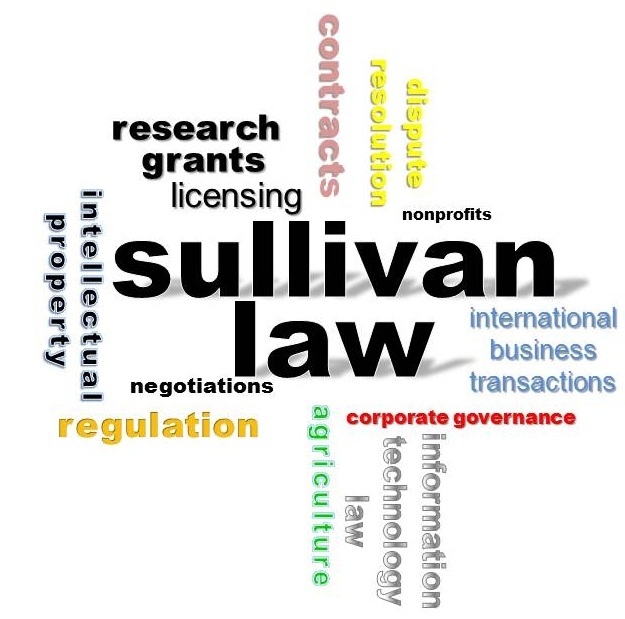 Moreover, copyright law does not confer exclusive rights as to “any idea, procedure, process, system, method of operation, concept, principle, or discovery … described, explained, illustrated, or embodied in [the copyrighted] work.” 17 U.S.C. § 102(b). In addition, the scènes à faire doctrine prohibits copyright protection for “incidents, characters, or settings which are as a practical matter indispensable, or at least standard, in the treatment of a given topic.” Therefore, “a copyright owner can’t prove infringement by pointing to features of his work that are found in the defendant’s work as well but that are so rudimentary, commonplace, standard, or unavoidable that they do not serve to distinguish one work within a class of works from another.” Bucklew v. Hawkins, Ash, Baptie & Co., LLP, 329 F. 3d 923, 929 (7th Cir. 2003). The title names “Nikita” and “Natasha” are phonetically similar, and each song’s title name is repeated almost the same number of times. by Shawn N. Sullivan, Nov. 3, 2012. This entry was posted in Intellectual Property Law and tagged Copyright Infringement, Entertainment Law. Bookmark the permalink.